Here are the Best Photo of 2009 by members of InsectIndia. Click on the image for full size. This is my favourtite pic of the year 2009, taken at CEC, just before the monsoons, when the forest was heaped with dried leaf litter, and was all a-buzz with the chirping of Cicadas. 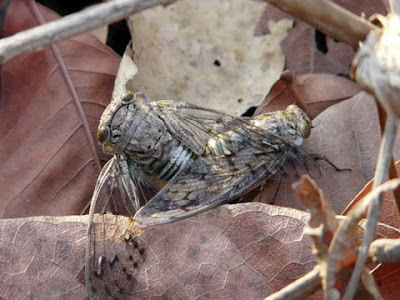 The mating Cicadas is symbolic of the joy of life, of propagation of species. capture it before it flew away.